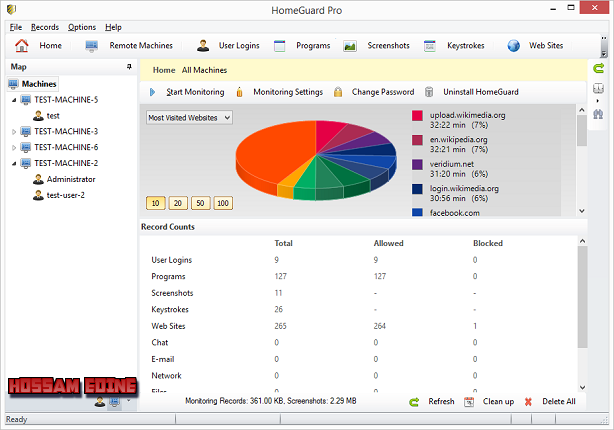 HomeGuardComputers are great tools. However, a computer cannot, on its own, control the way in which it is used. However, this may be necessary to prevent problems, as when employees download pirated software from the web, or when students use a school computer for unintended purposes, or trade show attendees change the settings on a public computer. Our software is designed for small and medium-size companies, schools, public agencies, and, of course, also for individuals who are interested in protecting their computer.